Interested in Bierstadt, Moran, Muybridge, and other artists who made the West their muse? 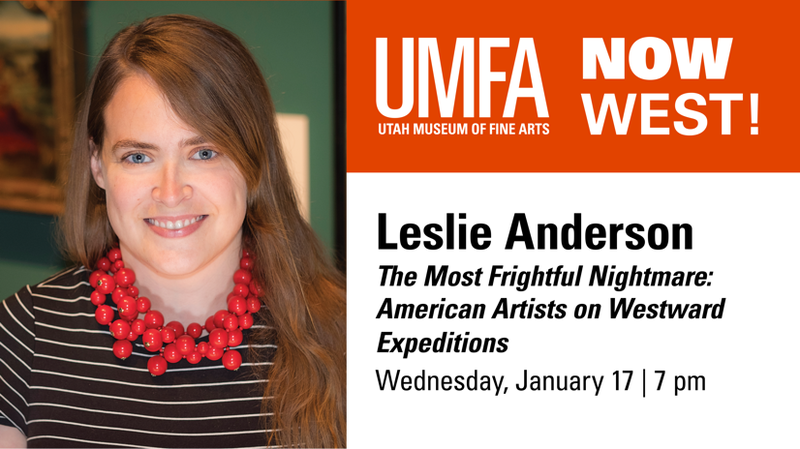 Come hear Leslie Anderson, UMFA curator of European, American, and regional art, explore “‘The Most Frightful Nightmare’: American Artists on Westward Expeditions” and the challenges these expeditionary artists encountered. This gallery talk will examine works in both Go West! Art of the American Frontier from the Buffalo Bill Center of the West and the UMFA galleries of American and regional art. 7 pm, Wednesday, January 17. The event is part of the UMFA’s Now West! series of programs encouraging dialogue and critical thinking around this consequential period in American history. This is a great way to experience Go West!—and it’s FREE.